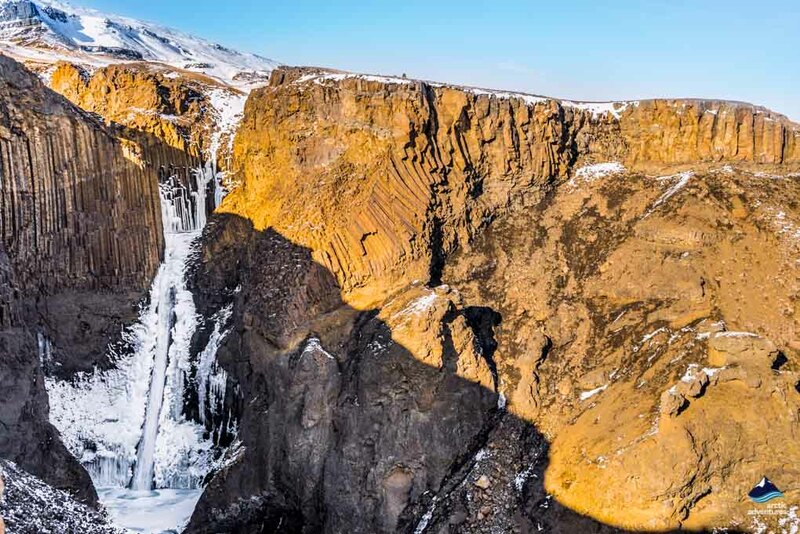 Hengifoss is a waterfall in the East of Iceland that cascades off the Fljótdalsheidi moorland cliffs down 128 meters (420 ft). 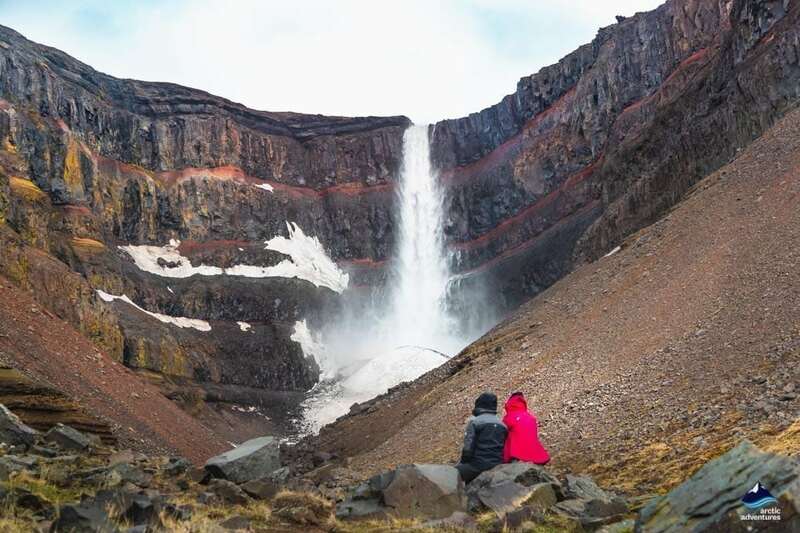 The waterfall is surrounded by truly extraordinary tertiary lava strata where you will find layers upon layers of natural red clay that together create one of the most awe-inspiring views you will find in Iceland. The hike up to the waterfall is easy and finding the waterfall as well as it is located only 40-60 minutes away from the biggest town in the East. Once again it’s time to be amazed by nature and the way it has sculpted basalt lava! How to get to Hengifoss? Hengifoss “the hanging waterfall” is the 2nd or the 3rd highest waterfall in Iceland depending on who you ask and is one of the very best known landmarks of the Eastfjords. The waterfall is 128 meters high (420 ft) but its water volume is rather little, still the unique red-colored surroundings of the waterfall truly make up for it and the walk up to the falls it without a doubt worth your while. 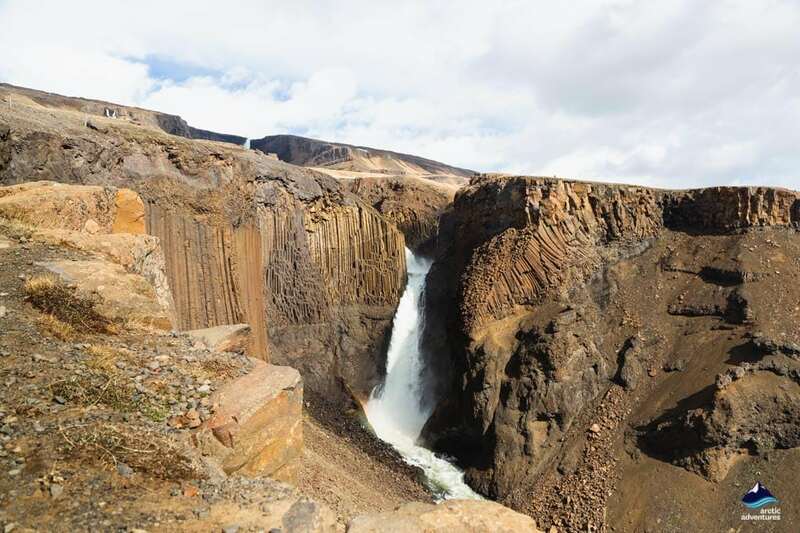 What makes Hengifoss so interesting are the red clay layers which create extraordinary stripes in the otherwise dark-colored basalt rock surrounding the waterfall. These breathtakingly beautiful fiery red layers were created during volcanic eruptions in the Tertiary Period about 5-6 million years ago and are made up from sediments and old soil and their oxidation stems of iron which brought out the red color. In the gorge in which the waterfall recites you will find lignite and fossils and a few other waterfalls down the stream. Hengifoss is located in Hengifossá river in Fljótdalshreppur somewhat in the middle of the part we like to call East Iceland. 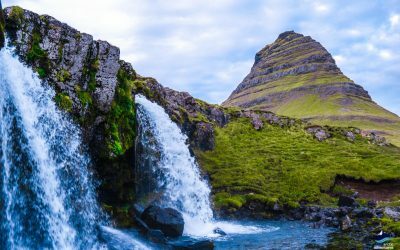 It is close to the “capital of the East” – Egilsstaðir and can easily be added to the itinerary while exploring the famous Lake Lagarfljot, home to the Icelandic Loch Ness Monster, or when visiting Iceland do drive the Ring Road. 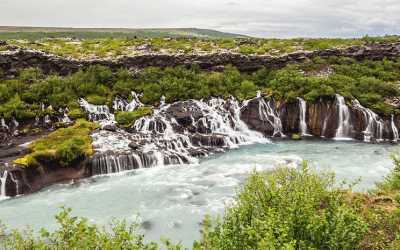 As Hengifoss is basically located in the middle of East Iceland making your way along the Ring Road from Reykjavík clockwise or counterclockwise will pretty much get you to the waterfall in the same matter of time, 8 hours and 20-40 minutes. This would mean that you would drive there straight and this, my friend, you wouldn’t recommend. There is just too much beauty to be seen on the way there, no matter which route you take. 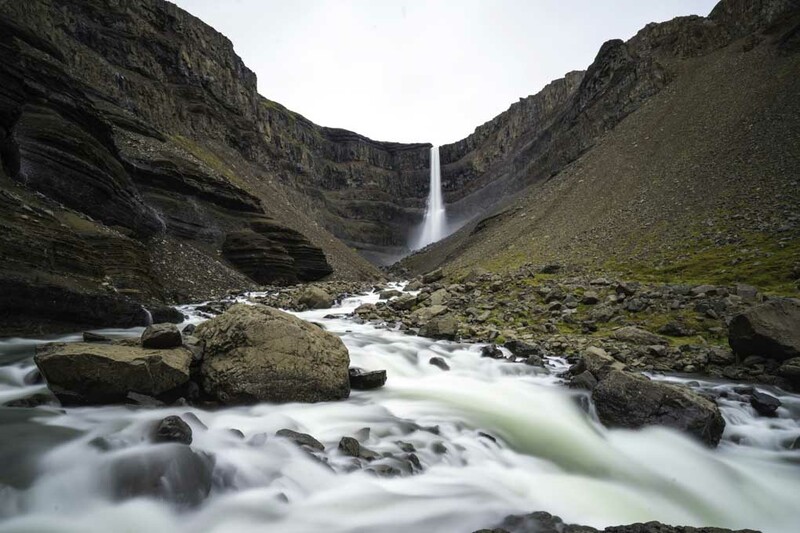 Your options for visiting Hengifoss are to join one of Arctic Adventures Ring Road Tours as they all stop there but you can also check out the Self Drive tours if you want to visit the waterfall more on your own. Other visitors even like to fly via the domestic airport in Reykjavík to Egilsstaðir and get a rental car there to explore the East. Anyway driving way you do choose you will have to follow Ring Road 1 to Egilsstaðir. If you are coming from the North make a turn onto road 931, and if you are coming from the South make a turn onto road 95. Road 931 will take you straight to the waterfall but if you take the road 95 you will have to turn into 931 from 95 as soon as you see the sign. Both drives take you along the famous Lagarfljót, enjoy the view! 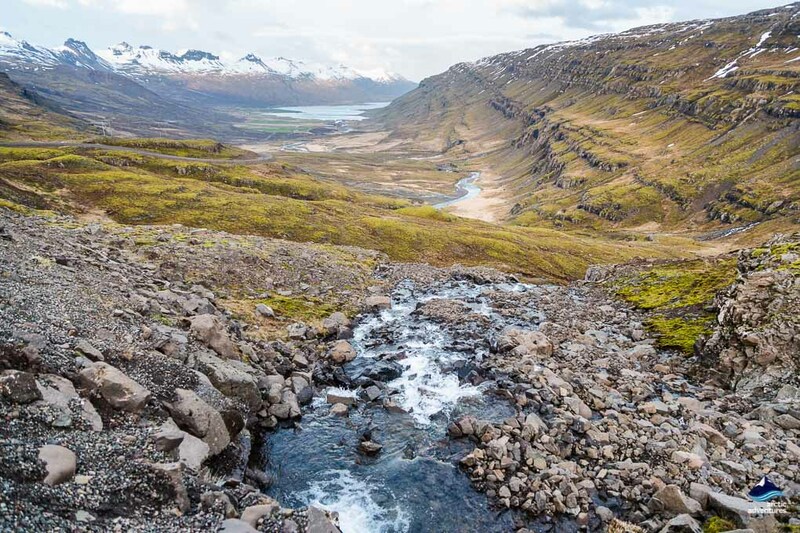 To be able to trace the origin of a waterfall you must follow its river and in this case, the river is called Hengifossá. The river’s source is in the lake Hengifossárvatn which is located in the moorland of Fljótsdalasheiði. The lake is located 660 meters (2165 ft) above sea level. 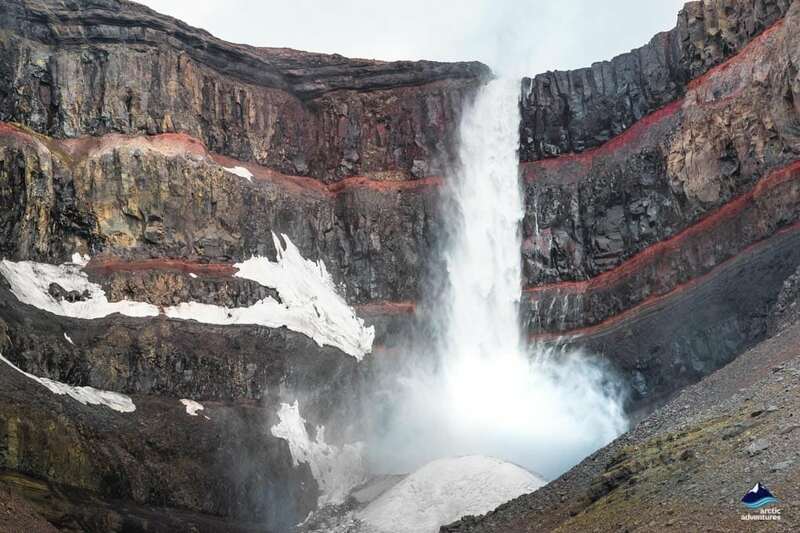 Behind the waterfall, you will find basalt layers and in between the bright red ribbons of iron fused soil which came to be in the tertiary period. There are very evident signs of warmer climates in the layers as you can all around the waterfall find petrified conifers trees and lignite, brown coals formed from naturally compressed peat. The most affordable type of accommodation available and an excellent choice from Spring through late Summer. 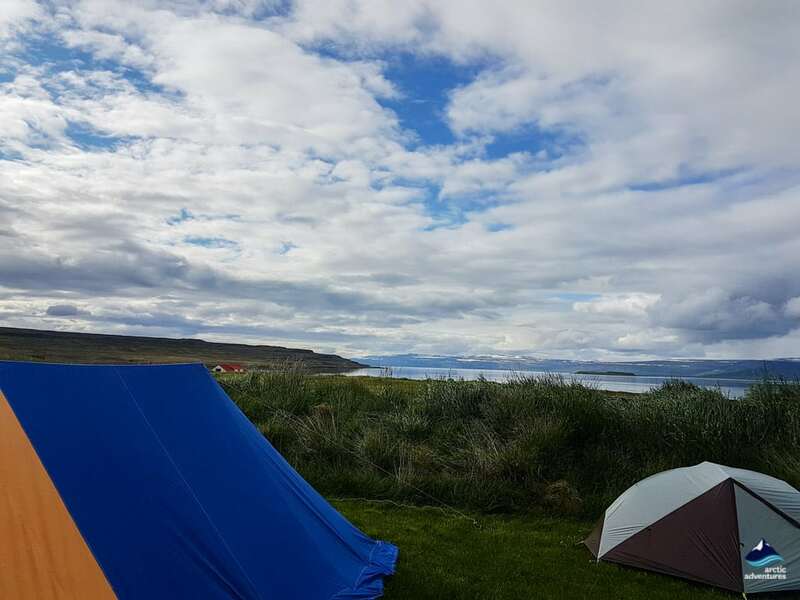 There are plenty of options for camping grounds in the Eastfjords and some are even located in beautiful forests, like the two in Hallormstaðaskógur, Atlavík, and Höfðavík. Fljótsdalsgrund is another great camping ground with walking paths and all the facilities you might need. Very close to Hengifoss you will also find the camping ground at Eyjólfsstaðir í Fossárdal which is a quite but big site right next to a creek and a beautiful waterfall nearby named Fossárfoss. Within each close town or village, you will also find camping grounds for example at Djúpivogur, Egilsstaðir, Eskifjörður, Fáskrúðsfjörður, Reyðarfjörður, Seyðisfjörður, Stöðvarfjörður, and Vopnafjörður. Find out more information about camping grounds in the Eastfjords. 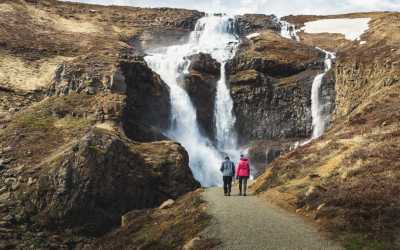 Hiking to and around Hengifoss waterfall will give you a few options, the walk up there is relatively easy and on the way, you will see the beautiful landscape. The elevation is about 300 meters (984 ft) in total and a little steep at times. 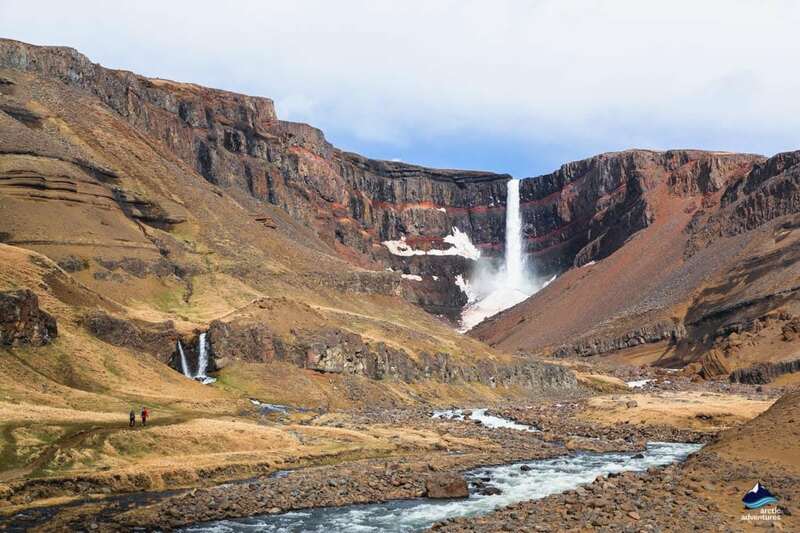 You can walk along the river Hengisfossá from both sides from the Ring Road to Hengifoss but the most common and generally considered the best accessible way is to walk from the parking lot which is located closer to the falls within the river’s path. The most adventurous walk up and above the waterfall, vade across the river and walk down the other side. Fun Fact: Before the hiking paths, signs and other marks where put down for visitors a team of archaeologists scoped the areas and made sure nothing of significance would be harmed. They found a few cairns which you will be able to see while making your way around the area but also ruins of an old farm, Ytra-Sel that used to stand there. The ruins as said to be in excellent shape and give a strong idea of the lives the farmers that lived there enjoyed. It is quite amazing to picture people living their lives in such closeness to a waterfall at the beauty scale of Hengifoss. 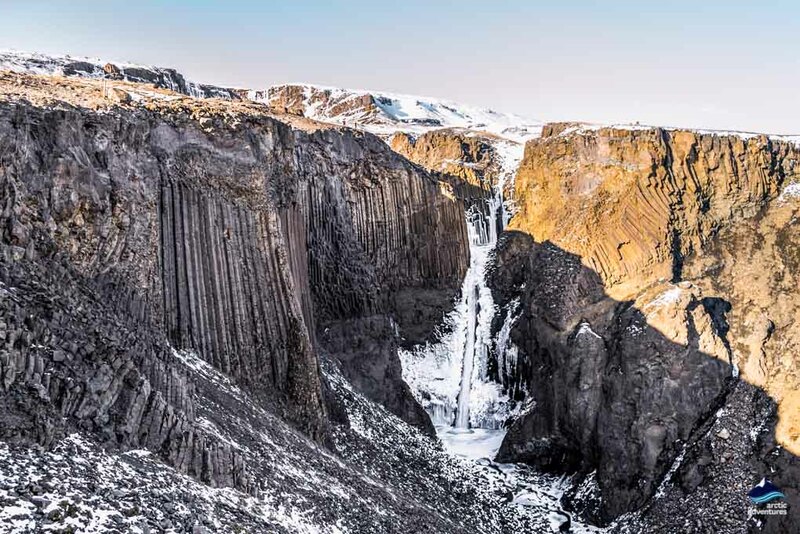 Hengifoss sure is a natural wonder and no matter the season a visit is bound to take your breath away. 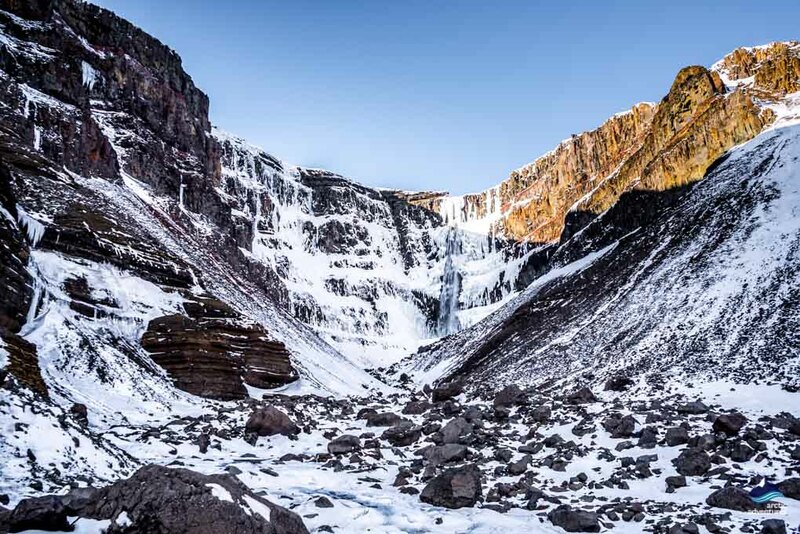 In winter you will need to be more cautious while visiting the waterfall mainly caused by the walking paths getting slippery due to ice so it is important to keep away from the edges of both the gorge and the waterfall’s pool. 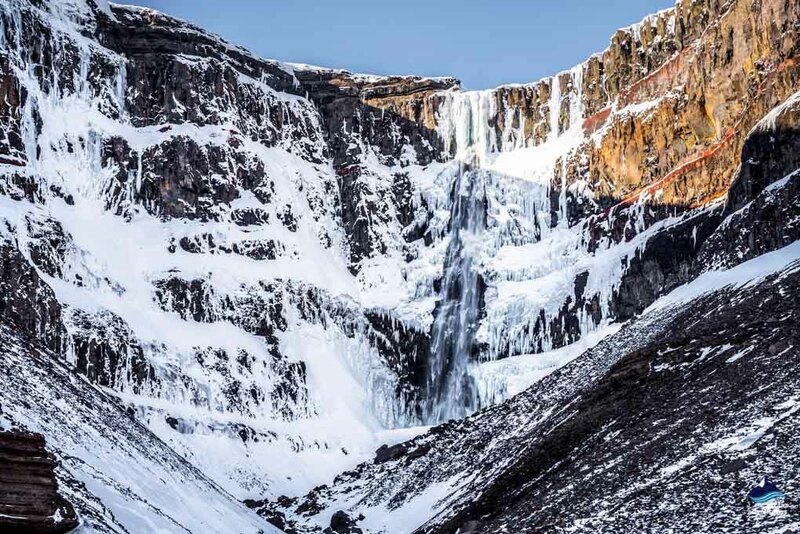 Icicles are also likely to form and hang off the edge of the cliff (like the waterfall itself), and you do not want to be underneath when they fall. 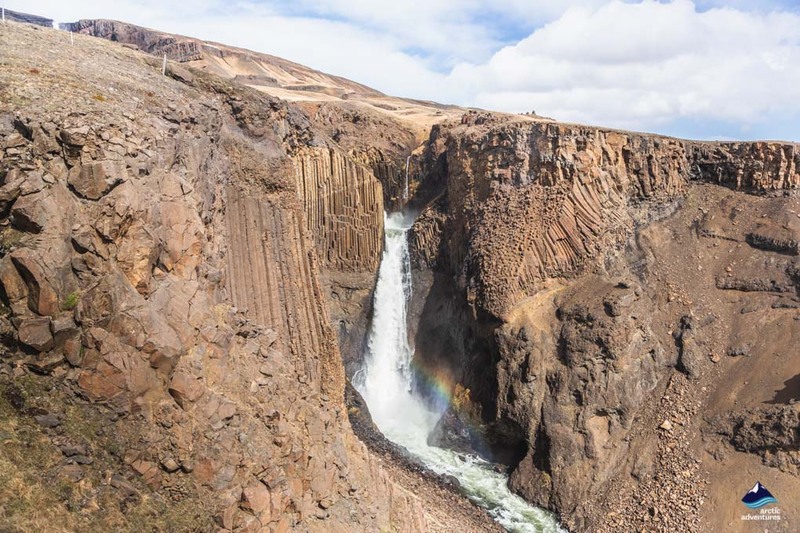 Litlanesfoss is another gorgeous waterfall found in the Hengifossá river and is locally known as the basalt columns waterfall in the East, similar to the famous Svartifoss inside Skaftafell National Park. 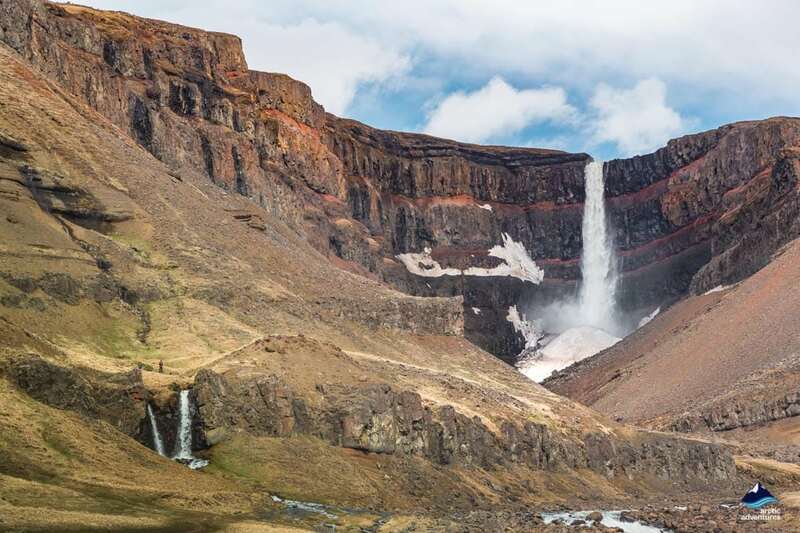 The waterfall is a 30 meters high (98,4 ft), a chute in the middle of strangely even hexagonal columns that together form the most photogenic scene. From Litlanesfoss you have a view of Hengifoss showing you just how short the walk is in between these two water wonders and can easily stop at Litlanesfoss going to or from Hengifoss. 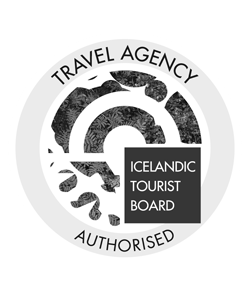 Travel the famous ring road of Iceland in a small group. 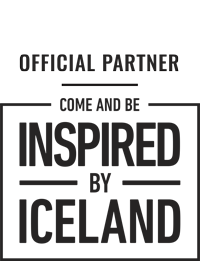 Visit some of the most amazing destinations around Iceland. 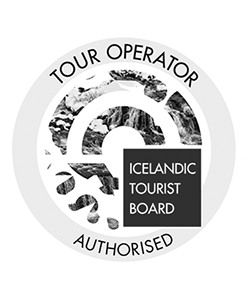 See only the best - go with a friendly and professional Arctic Adventures Iceland local guide! 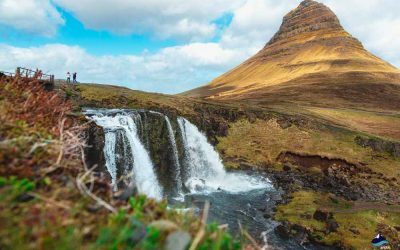 You will experience the most stunning and legendary places… from great waterfalls to Jökulsárlón Glacier Lagoon, an erupting geyser and Snæfellsnes Peninsula. This amazing 9-day self-drive package is an adventure of a lifetime. Visit mesmerizing sites and experience some phenomenal activities on your way around the Icelandic ring road. 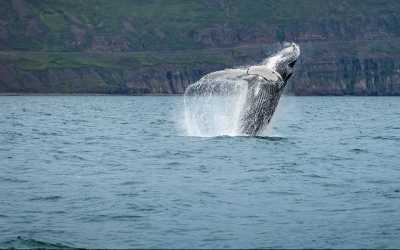 This fantastic 8-day self-drive package will awaken you to the adventurous desire of a captivating journey circling the phenomenal Iceland ring road, with glacier hiking and whale watching included. This is the ultimate self-drive tour around Iceland. 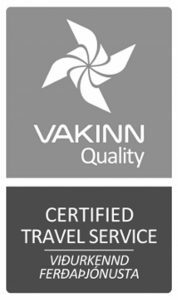 Explore the magical Icelandic landscapes along the Ring Road by yourself while we take care of everything!